certification of 3M window films. 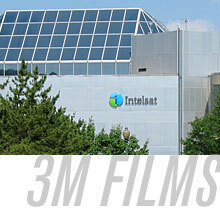 What makes 3M window film really a 3M technology? Is it the superior adhesive unmatched in the industry? Or perhaps the clarity and consistent quality of the film? 3M window films are truly 3M products because they are based on five core technologies that have been the cornerstones of 3M's success in many diverse global markets. These five technologies lie at the heart of 3M, and allow it to develop, manufacture, and provide, what it believes are the best products on the market. 3M is one of the Top-Five polyester film manufacturers in the U.S., a credential of which many are unaware. 3M is the only window film manufacturer to manufacture its own polyesters. In addition to window films, this core technology is used to make 3M videocassettes, many Scotch brand polyester-backed tapes, and Scotchpak pouches and bags. The second key technology that yields the high performance of 3M window films is metallization. 3M metallizes by vapor coating, sputter coating, and E-Beam coating. All three of these technologies are used to produce not only 3M window films, but many other 3M products such as: Scotchlite brand reflective films for traffic signs; Sasheen brand decorative ribbons; and Scotchflex brand electrical connectors. 3M has been developing adhesives for over seventy-five years and is a world leader in adhesive technology. Evidence of this technical leadership can be seen in 3M Post-it Notes, Scotch brand magic tapes, 3M Super 77 aerosol adhesive, and of course, 3M window films. In fact, 3M is the only window film manufacturer to manufacture its own adhesives specifically designed for window film. Abrasion resistance is the fourth key technology of 3M window films and has stemmed from 3M's expertise in abrasive materials such as 3M sandpaper and Scotch-Brite scouring pads. This understanding of how materials can be abraded has moved 3M into a global position of leadership in protecting surfaces from abrasion. Combining all of the above components into one window film requires the ability to apply very thin optically clear coatings made of a variety of chemicals. Examples of 3M's ability to coat very thin solutions are 3M photographic and x-ray films. This 3M expertise has given 3M window films superior industry performance.